The Hip Hop Hall of Fame has added a five-star hotel to its museum design concept. The future New York City attraction, which has been in the works for decades, projects a grand opening in Manhattan sometime in 2019 or 2020. 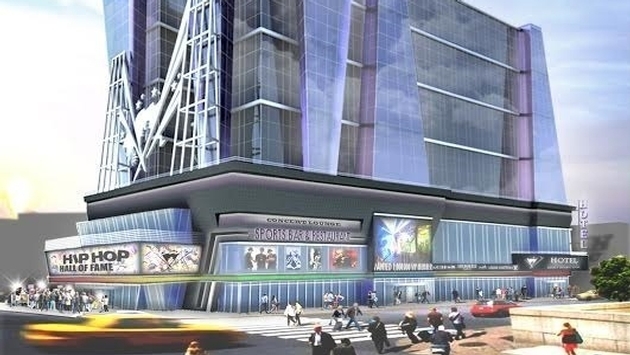 And with an on-site hotel, retail shops, an arcade, a television broadcast studio, sports bar and restaurant and a concert lounge included in the Manhattan design concept, the museum promises to rival Cleveland's Rock and Roll Hall of Fame. According to Monday's announcement, the project's development team expects to complete the building site acquisition early next year. Afterward, the team expects to begin the infrastructure design process. In the meantime, Hip Hop Hall of Fame founder J.T. Thompson and project manager Andrew Bast have already begun discussions with major hotel chains in hopes of landing a partner. The Hip Hop Hall of Fame is also eyeing private investors and a management group to co-own and operate the luxury hotel. 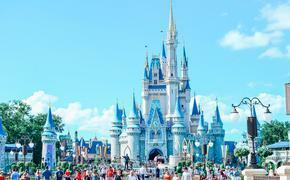 Once open, the entertainment complex expects to welcome one million annual visitors from the U.S. and overseas. "We are pleased that the Hip Hop Hall of Fame Museum & Hotel Building project is moving forward and that it will have a major socio-economic impact on tourism, culture, education, live events, film & television production and broadcasting, and job creation in New York City," said Thompson in a statement. Monday's much-anticipated design concept reveal conincides with November 2016's Hip Hop History Month. Details surrounding the hotel remain scarce. However, the Hip Hop Hall of Fame is expected to reveal specifics farther down the line.